Vitamin B12 is an important part of the B vitamin complex which has an important role in many processes within our body. Adequate levels of Vitamin B12 supports the body's energy yielding metabolism, supports the immune system, can help reduce fatigue, and even plays a role in the formation of red blood cells. 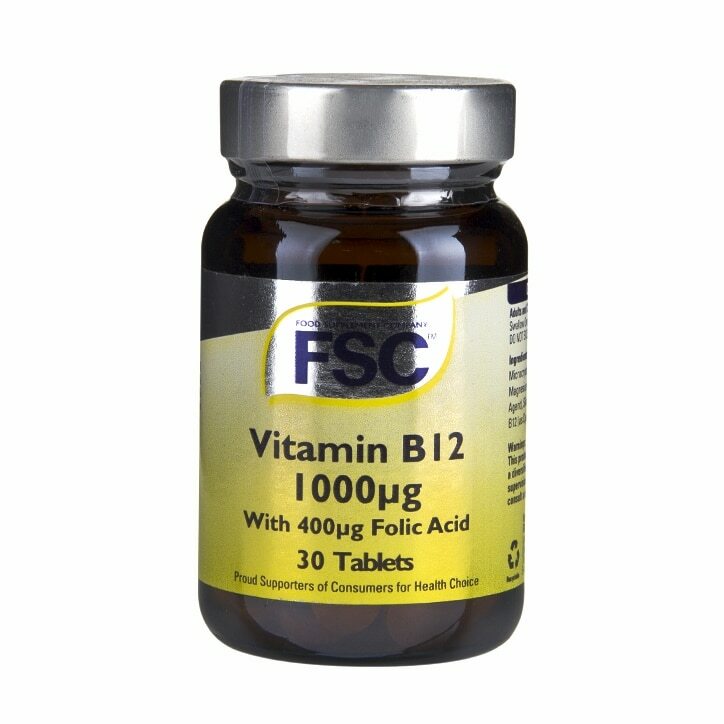 FSC Vitamin B12 capsules contain 1000µg Vitamin B with 400µg Folic Acid, the perfect partner to Vitamin B12 for normal immune system function. Vegetarian-friendly capsules. Bulking Agent: Cellulose Powder; Vegetable Capsule Shell (Hydroxypropylmethyl Cellulose), Anti-Caking Agent: Magnesium Stearate*; Vitamin B12, Folic Acid. * Vegetable Source.